Live session slots this coming Saturday 24th November 2018 from seismic Stateside songsmith Amy Rigby and avant-pop art folksters Stanlæy. 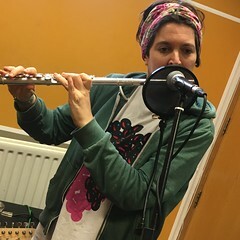 This entry was posted in dexter bentley, hello goodbye show, Hello GoodBye Show: Listings Info, resonance fm and tagged amy rigby, dexter bentley, hello goodbye, hello goodbye show, london, radio, resonance, resonance fm, stanlaey. Bookmark the permalink.